Currently viewing the category: "Fashion"
Filmmaker Georden West is getting ready to screen her second fashion film at the Emerson Film Festival this weekend. “Patron Saint” (click here to see trailer) will be part of two programs of student shorts that will be screening in the Bright Screening Room at the Paramount Center ArtsEmerson on Sunday, March 24 at 12 p.m., followed by a red carpet reception open to the public at the Emerson Urban Arts: Media Art Gallery, located at 25 Avery St. (across the street from the Ritz-Carlton hotel.) West recently completed the Emerson graduate program in Film and Media Arts from what many consider to be one of the top film departments in the country. 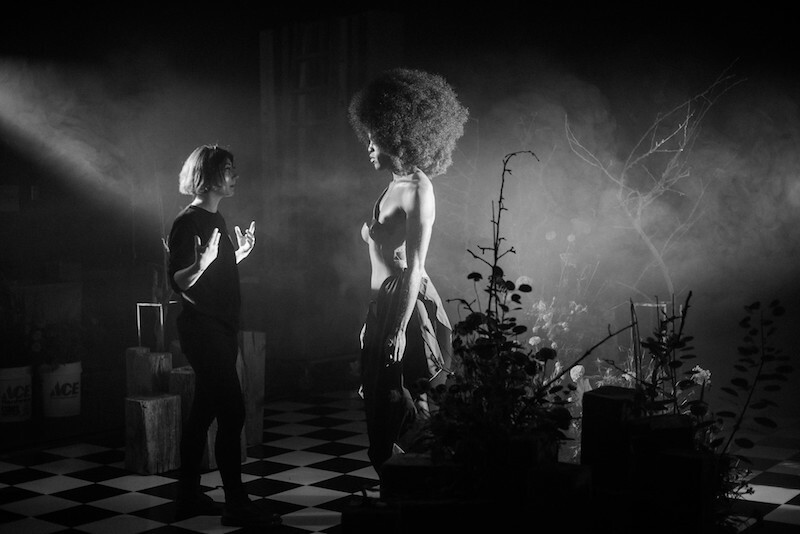 West identifies herself as a queer woman and a queer filmmaker and what lead her to making fashion films was the opportunity to speak to groups neglected and often left out of the mainstream conversations. Fashion films can be used to magnify expression, exploring and pushing bounderies, especially with regards to gender. Fashion films have been evolving over the last few years into a way to make a social statement with a new look and language that showcases fashion and lifestyle brands in a more creative and narrative way. Acting as an alternative to traditional promotion and marketing of brands, such as print photo shoots and :30 fashion ads for television, the brands behind the films can be emerging designers or well-heeled names. 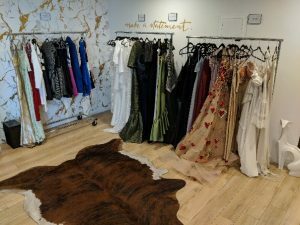 For “Patron Saint,” West is collaborating with emerging designer Jamall Osterholm, who is currently a contestant on Bravo’s “Project Runway” and who will be debuting on New York Fashion Week’s official schedule in September. A Rhode Island native, Osterholm graduated from the Rhode Island School of Design and his focus is on futurism and borrowing from the past. Patron Saint will be screening on Sunday March 24th at 12pm and on March 29th at Distillery Gallery. SAN DIEGO — It’s a good thing that the Oscar ceremony is on a Sunday night as we all seem to need a little bit more time to get ready for a party that celebrates the best in film and the best (and worst, gulp) in fashion. We just wish that we got another day after the festivities to rest up. This year looked like it might be a quiet evening (no hosts, no controversy) but that quickly proved to be wrong, thankfully. So, the anticipation and guess work on who would win which award was palpable from LA to Boston for the 91st Academy Awards. The San Diego Film Foundation did not disappoint on the party spectrum as it threw its best and biggest annual signature fundraiser that night, held at the Scripps family estate in Rancho Santa Fe. 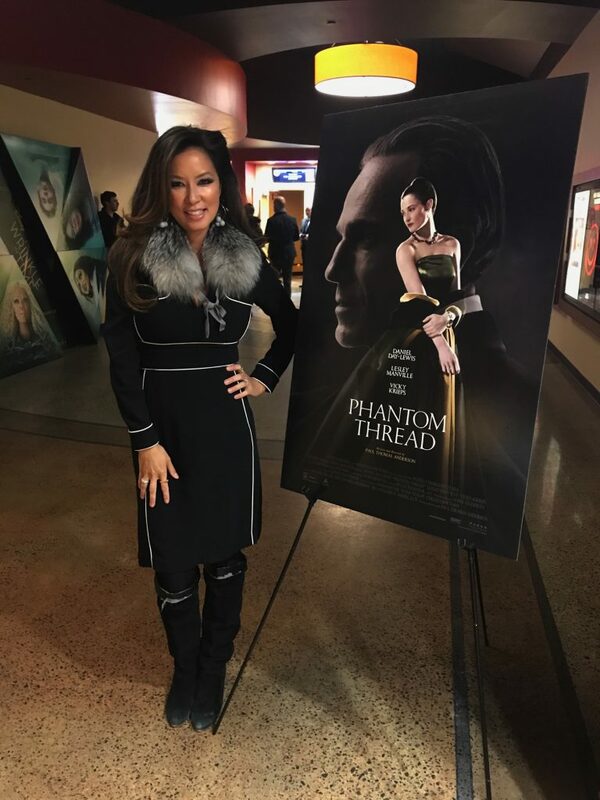 The SDFF used the event as a fundraiser for its highly successful “Impact On Film Tour,” which brings socially impactful films to thousands of high schoolers in the San Diego area in an effort to educate and create a call to action for the youth of the city. The splashy event was done in true Hollywood style with a Maserati Levante and a Maserati Quattroporte lining the driveway and a Gran Torismo and Ghilbli at the red carpet. Gorgeous women and men turned out in gowns and tuxedos and everyone had a favorite going into the evening, but as we all know Oscar always surprises. Meanwhile, up the road a bit, things at the Dolby Theatre at Hollywood and Highland in the Hollywood section of Los Angeles got rolling early with a slate of dynamic interviewers handling the “heavy lifting” for ABC along the red carpet: Medford, MA, native Maria Menounos in a stunning Celia Kritharioti yellow and white gown with Chopard jewelry; Tony Award-winner Billy Porter in a custom (is there any other kind on Oscar night?) tuxedo-gown by Project Runway winner Christian Siriano; Teen Vogue editor Elaine Welteroth also wearing a Celia Kritharioti gown; and supermodel Ashley Graham wearing Zac Posen and dripping in $1 million worth of jewels on loan from Martin Katz. The only thing we think could live up to the Porter moment was Lady Gaga‘s breathtaking — and nearly blinding — diamond pendant. If you thought it looked like something familiar, indeed it is: that rock is The Tiffany Diamond, worth an ice-cold $30 million. (It had a previous brush with Hollywood when it was used for the promotional photo shoot for Audrey Hepburn’s turn in Breakfast at Tiffany’s.) Careful viewers of styleboston.tv and LeftCoast.LA will remember that Kenny Loggins predicted Gaga’s Oscar success while walking the carpet for the 2018 San Diego International Film Festival. View his prediction below; he was spot on! Gaga, of course, won the Oscar for best original song for “Shallow,” which she co-wrote with Mark Ronson, Andrew Wyatt, and longtime Boston music maker Anthony Rossomando, best known for the bands The Damn Personals and Dirty Pretty Things. When the first 8.5-pound golden statue was handed out to Regina King as “best supporting actress” for her star turn in If Beale Street Could Talk, it was Boston native Chris Evans who chivalrously helped King navigate the steps up to accept her award. Yahoo caught the image, you can view it here. Another high point for those of us following the theater and fashion scenes in the Northeast as well as those around the world who are fans of her work, was when Ruth E. Carter got an Oscar for costume design for her work on Black Panther. Carter, who on stage gave a shout-out to her 97-year-old mother back in Massachusetts, has been toiling away in productions large and small for decades. She is a Springfield, MA, native, who apprenticed at the former StageWest in Massachusetts. MassLive had a great story on Carter, which you can read here. 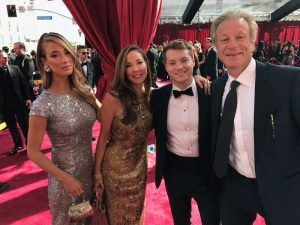 And if you can stand us having one more fan moment from the Oscar night, it was when Peter Farrelly, a Rhode Island native whose parents live on the South Shore of Massachusetts, won the Oscar as part of the team who wrote the screenplay and the prize of the night, “best picture,” for Green Book. “I want to thank the whole state of Rhode Island,” Farrelly said during one of his acceptance speeches. FUN FACT: If you thought it seemed like just about every movie that was nominated won something, you were onto something. At least with the “best picture” nominees. Since the number of potential nominees in the best picture category was expanded from five to 10 in 2010, this was the second time that every nominee got at least one award. Second fun fact: Five times in the last six years the “best director” trophy has gone to a Mexican director. LOS ANGELES – With the 2018 Emmy Awards right around the corner, (September 17th) ‘pre-Emmy’ events are already in full swing out here in Los Angeles. So, of course, it was only right that we’d also get in on the festivities. And that I did – at the Coded PR Emmy’s Suite Happy Hour. 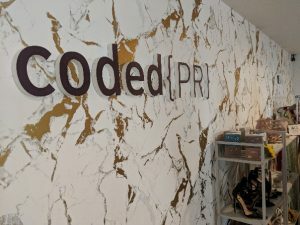 Coded PR at their Melrose Place showroom. 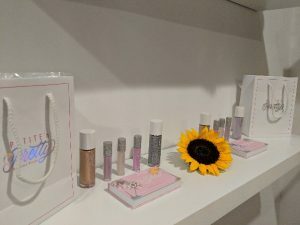 I got a chance to browse some of their ready-to-wear accessories and formalwear collections, mingle, get a facial by CryoCafe, try a Peachberry detox water for the first time and, naturally, see beautiful people – fashionistas, influencers, male, females, and teens – stopping by to hang out. 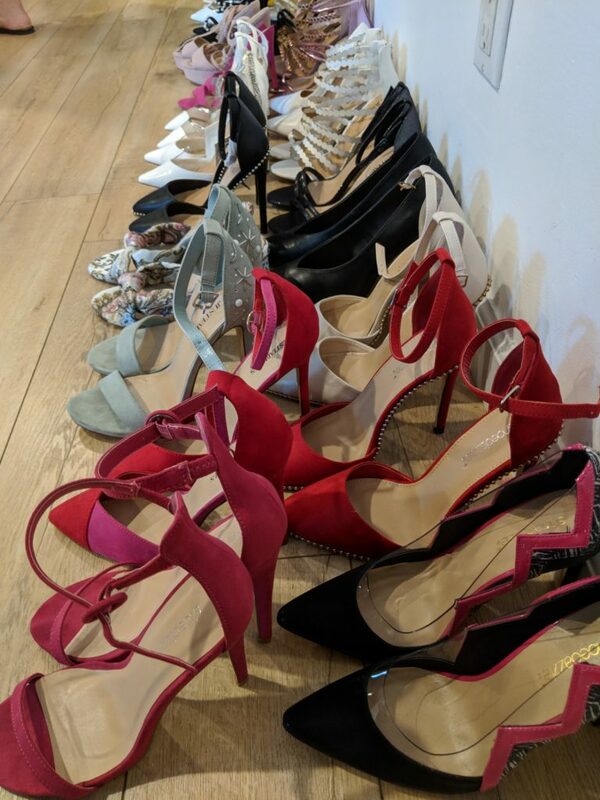 A beautifully organized event put on by a team of powerhouse women that are on deck ready to get you red carpet ready-to-make-a-statement ready with the help of their clients: Lacoste, JustFab, Watters, Rime Arodaky, Le Marche by NP, ShoeDazzle, artTECA, CALLIDAE, Chooka, Staheekum, Sophie Voila and so many others. As VP of Social + Influencer, Claire Barthelemy (left) and Senior Account Executive, Arlene Guerrero (right) both agreed on: they are the “one stop shop” for all red carpet needs. So if that’s you and you want to step your fabulous game up to an even higher level, these ladies are taking on appointments. All you have to do is head on over to their website for showroom requests and pulls. Susan Hassett, CEO and creator of a new brand of casual footwear called “Cocktail Sneakers” is surrounded by women. Hassett says that she did not intend to work exclusively with women in this new Boston-based venture, but as it turns out that is exactly how the company is getting off the ground. Hassett was very clear at the beginning on what she wanted to create and why. 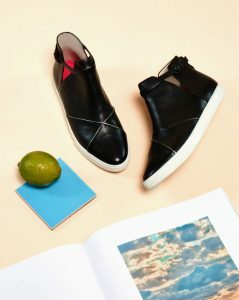 Three and a half years ago she identified a void in the women’s shoe market for an attractive sneaker, one where women could have a shoe that actually transitions all day from casual to elegant without a hiccup in their wardrobe. Once the idea for the shoe was in place, she built a team that would help her launch the new brand. Through a series of serendipitous introductions she found her designer, Mar Espanol of Shoe Girls Studio in Brooklyn, who introduced her to a woman-run, woman-owned factory, the marketing team Grier Park with Daniella Vollinger and Bianca Brown, and the creative/branding duo Dames, founded by Jemme Aldridge and Emilie Hawtin, who all happen to be very accomplished women. 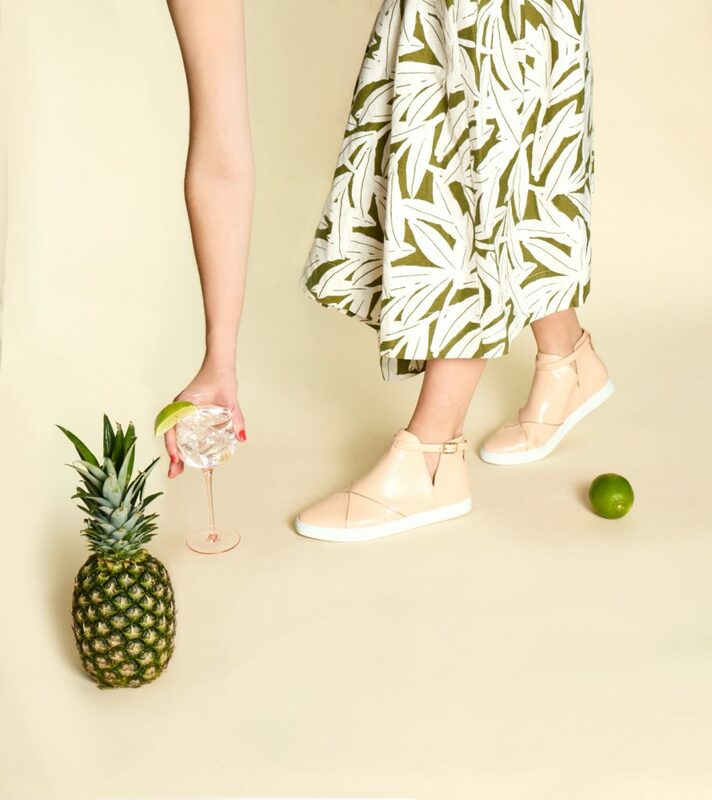 The introductory selection of cocktail sneakers comes in white, black, navy, blush, and red and range in price from $195 to $225. They can be purchased online at CocktailSneakers.com and at a select number of boutiques on the East and West Coast. So to all fashionistas, when you find yourself on your feet you can get there from here, even if your path is walking through Quincy Marketplace cobblestones, and still look like a perfect ten. When the news broke on Tuesday that trailblazing fashion genius Kate Spade had died the reaction was immediate. Locally, public relations veteran Chris Haynes, who like so many was caught off-guard by the 55-year-old Spade’s apparent suicide, posted on line of his shock and sadness. For Haynes it was personal. He oversaw the 1999 opening party for Spade’s Newbury Street boutique while working directly with Spade and her husband, Andy. As outlets around the world looked for photographs to accompany the stories, many chose the image from the now-defunct Stuff@Night of Spade in Boston in front of a wall of her most colorful handbags. “Out of the millions of Kate Spade photos out there in the Universe, Getty Images shared three pictures and SOMEHOW one of them is from our Boston store opening,” Haynes wrote. “RIP Kate Spade. Your life was, oh, too short. Your whimsical designs gave my husband something to look forward to when choosing gifts for the various holidays: birthdays, Valentine’s Day, Christmas, Chanukah, you name it. I think my first bag of yours was the pink T-Rex. Who buys dinosaurs for their wives? He saw it in the store and insisted on getting it. It brightened so many peoples’ day each time I wore it to an event—the Hot Pink Party, Valentine’s day, there were so many occasions for a fierce pink T-Rex to attend. “My list does not end there. A Russian nesting doll hardwood clutch made its way into my collection, too. A Russian name that I cannot pronounce and do not even attempt to, but indeed a whimsical nesting purse with a little doll pouch inside as well in typical Russian nesting fashion. Kate, oh, Kate you were so creative. 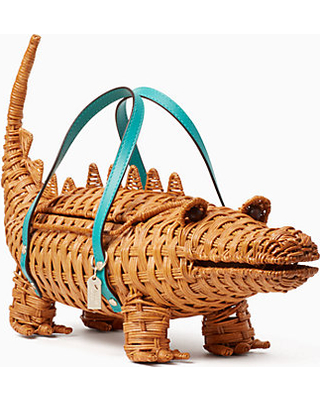 But my favorite of all your bags is the limited-edition wicker gator. He scared many a diner as we sat al fresco in Miami eating dinner at Michael’s Genuine. Those Floridians are so used to seeing gators, I was surprised he made one yell sitting upon a side table at the outdoor patio, peeking his head out of the nearby shrubs. **Be sure to tune in to Tonya’s new tv series “On The Red Carpet” on NESN Sat/Sun night at 11:30 pm. Recently I had the opportunity to sit down in LA for a lively chat with the Massachusetts-based entrepreneur and level III Reiki Master Practitioner, Farah Andre. Reiki healing has been practiced for decades on the West Coast but the East Coast has been slow to embrace it. Farah is working to change that perception. A registered nurse with a Bachelors of Nursing degree from Labouré College, she is a believer and is in LA to talk to experts about the best ways to bring this practice to Boston. She touched on her background and shared some insights on her work encouraging people, especially from the black community, to adopt the benefits of Reiki to recognize and remedy core spiritual wounds which, when left untended to, affect their general wellness. Check out our one on one interview with Farah Andre. Reiki is a system of healing used for stress reduction and relaxation that also promotes healing on all levels; physical, mental, emotional and spiritual. The word Reiki is from a Japanese word meaning universal life force or energy. According to Farah, Reiki is really about energy and meditation. It is an elevation cleansing of the body, mind, soul, cos, where everything is interconnected. She explains that Reiki is a stress reliever and excellent for achieving homeostasis for people suffering the effect of external stressors such as school, work or family. 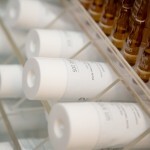 Many health issues like hypertension or high blood pressure, eczema, etc. are often a result of our body reacting to these external stressors. Farah, who is part of the Black Nurses Rock New England, also talked about plans to partner with a number of NBA teams to see how Reiki can benefit the performance of basketball players in their game and practice sessions, especially for players who have suffered anxiety and panic attacks in the past. Despite her accomplishments and list of achievements, Farah remains humble and grounded and a lot of fun to be with. She explains that she likes to keep it “quiet” even as she steadily climbs the ladder of success. 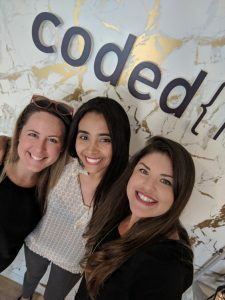 For now, Farah continues to support patients in healthcare settings while offering Reiki treatments through her woman and minority-owned business, Endless Konnections. 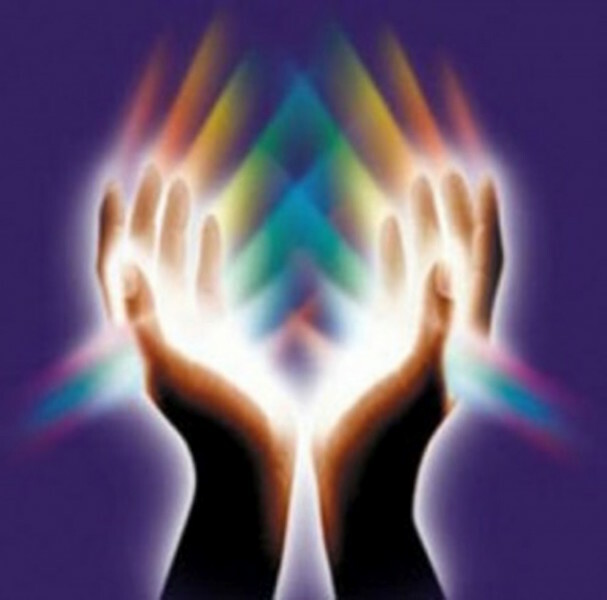 For more information on Reiki contact Farah at www.endlesskonnections.com. 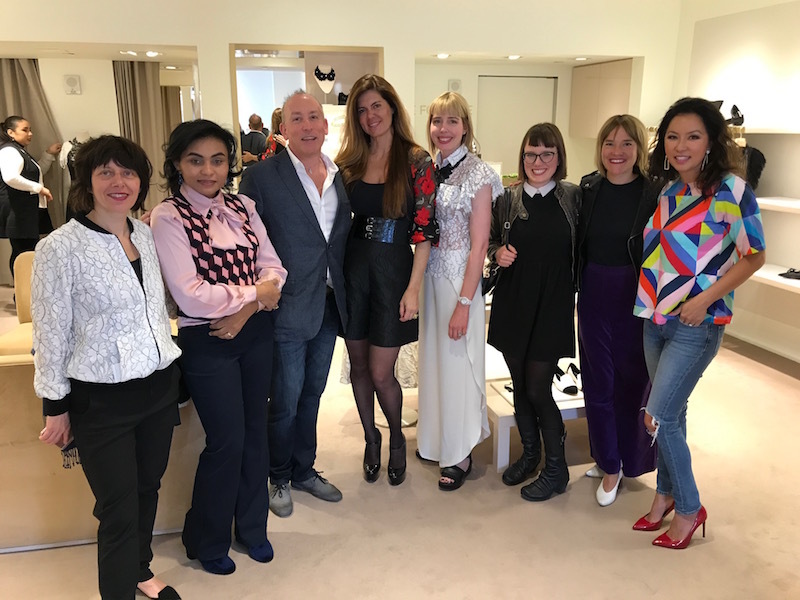 BOSTON – French and Brazilian designer Anne Fontaine recently joined with Valéry Freland, the Consul General of France in Boston, to kick off Forest Day 2018 with a fundraiser at the consul’s home. 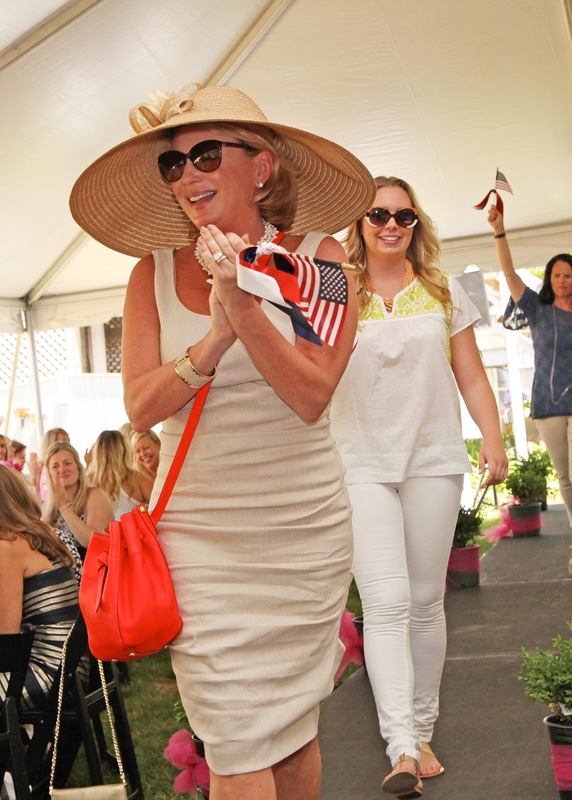 The swanky event raised more than $12,000 toward the goal of planting 100,000 trees by 2022 to reforest the Brazilian Atlantic Rainforest, the Mata Atlântica. Boston’s most famous Brazilian supermodel, Gisele Bunchen, was not able to attend, but donated a 15-pound (not a typo!) sparkly, designer, green mini-dress to the Foundation that she wore in San Paolo many years ago. The Anne Fontaine Foundation [/] will auction it off at an upcoming event in Washington, D.C., to raise more money for the cause. Anne, charming as ever, spoke to me about how she is always connected to nature in her collections, so much so that in 2011 she decided to create the Anne Fontaine Foundation in order to save the Amazon Rainforest. Tonya Mezrich with Anne and attendees. It was lovely touring the new collection, as Anne showed me her very first pair of jeans. 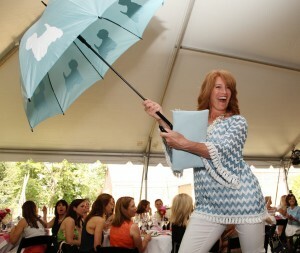 Lots of blues, such as a fun flirty blue sweater and of course her signature white shirts which bore the floral theme. Anne raved about a pair of white floral trainers that are flying off the shelves. 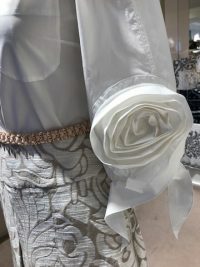 I was drawn to the sleeves on this crisp white shirt in the center of the store and the floral lace shirt that the store manager was wearing. Laces are French and from Calais, Anne indicated, from production houses who have been producing lace for more than four generations. Anne beamed about her new collection: Anne Fontaine Casual. These pieces have a price point of $200 to $300 per shirt rather than the higher boutique of $350 to $395 price point. I respect designers who find ways for those watching their budget to have access to beautiful designs and invest in significant pieces. I fell in love with a mesh jacket with floral appliqués on the sleeves. Apparently all of her staff want this jacket as well! Check out the AnneFontaine site and tell me what you think? 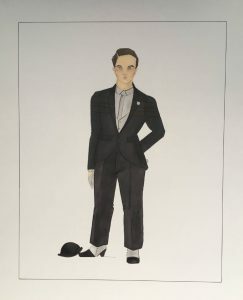 I spent the morning of the dress rehearsal chatting with costume designer Charles Neumann, who was handpicked by director James Darrah of the Boston Lyric Opera to bring the characters to life through his signature costuming. Having known each other from working together at Central City Opera in Colorado upon Neumann’s graduation in 2011, their long history afforded the BLO with a treat in costuming rich in background, design, and story that will be a true delight for the audience in the upcoming production of “The Threepenny Opera” this Friday at the Boston Lyric Opera House. (I’m entranced by the description of one character’s costume, which turns out to be Neumann’s fave as well.) 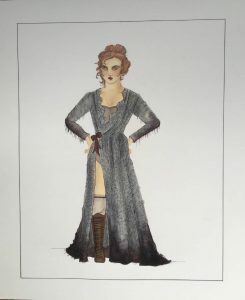 Read more to find out the ins and outs of what goes into developing a costume wardrobe for a full-scale opera production and how a ready-to-wear fashion designer makes the jump from clothing design to costume design. What is your background in fashion? I graduated in 2011 from Lasell College in Newton with a BA in apparel design and production and went from graduation to Central City Opera in Central City Colorado for their summer season. I have been working since then on project commission work for smaller opera companies. I do a lot of ready-to-wear, but wanted to transition to costumes. Women’s ready-to-wear, separates, mix and match separates, geared towards an “eye on the past”—a weird forward-thinking retrospect. My style details are pulled from fashion and apparel history. I like to use modern silhouettes, mix them. For example, if you had your two favorite people, what would they wear if we were on a date? I came up with long silhouettes with a heavily distorted hounds tooth. I love to create jarring juxtapositions favoring bohemian, or earth wanderer aesthetic. I use lots of hand beading and have a sharp eye for high quality production. It has to be 100 percent perfect. If you were to describe my brand in three words it would be: sharp, nostalgic, bohemian. How does this tie in to your costume design choices for the BLO? 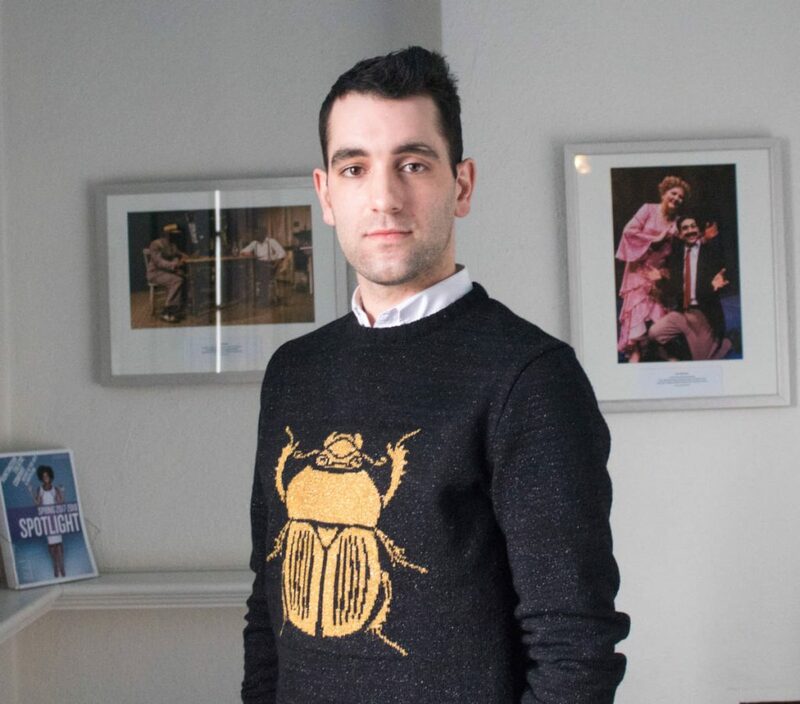 James Darrah approached me to do it—I met him at Central City, he was an [artistic director]. He followed my work, and came to me and said I’m doing this opera. Imagine existing in this world where your clothes are the only viable option for these people. I was immediately intrigued. He described this world that exists without a time or place. It feels new, and interesting, but also feels very familiar. It has an eye on the past. When you see the opera you’ll see that it’s my signature brand. There is lots of attention to handwork, mixed materials, lines very similar to what I typically work with. How would you describe the aesthetic of the costuming for ‘The Threepenny Opera’? It’s lovely, but it’s NOT lovely. It has a weird back and forth. Everyone exists on the same social level. No one is higher than anyone else. But everyone is scheming and planning to step all over everyone else. Your personal visual can take a step backwards when you have slipped away. The clothes become tattered, thread bare. Imagine a trunk in attic, filled with Victorian clothes, that when you touch they fall apart. You can tell they looked very beautiful at one time. “The Threepenny Opera” costumes feel like “all things forgotten,” melancholic, dark, and sad. Jarring, because the music is sharp and aggressive but also sad, and soft. A great example and signature piece is Lucy’s yellow velvet coat: sharp harsh lines, but contrastingly very organic. How did you get into the design mode for this opera? What was your inspiration? Did you watch other productions or read the script, listen to the music? Definitely a combination of all of the above. I read the script 100 times. It was really important for me to think about: Who’s going to wear these garments, what are they like? It’s harder than [ready-to-wear] because clothing is a signifier, a personal billboard to tell people this is how I feel—this is who I am. I had to do this for each of the characters in the show. Who were you? What did you do? How did you get where you are? Psychological profiles of how they see themselves and how they would show others how they see themselves. I watched 1920s versions of the show, as well as ’30s and ’40s. Used some of the elements from notable productions for the main character Mackise. Which character did you relate to the most? There were two. Jenny Diver, had this long history with Mackise, the villain. She’s sort of removed, aloof, always watching always seeing. She sells him out not once but twice to the Peachums to get him hanged. She has a similar aesthetic to mine, she wears this beautiful lace dress that has been worn and worn the hemline is tattered. She feels nostalgic and melancholic. It’s the main signifier of my look, by aesthetic and brand. The second one is Lucy Brown, the daughter of the chief of police. She’s certifiably crazy. Wearing yellow velvet coat with big portrait collar, sharp angular lines reminiscent of designers Viviene Westwood and Yoji Yamamoto. She’s driven crazy because she fell in love with this person who doesn’t love her back. That’s how I am with my work. I know this has been your first large-scale commission for the performing arts following your work with MetroWest Opera. How has it been working for such a large-scale production and what were some of the challenges? It’s been wonderful. 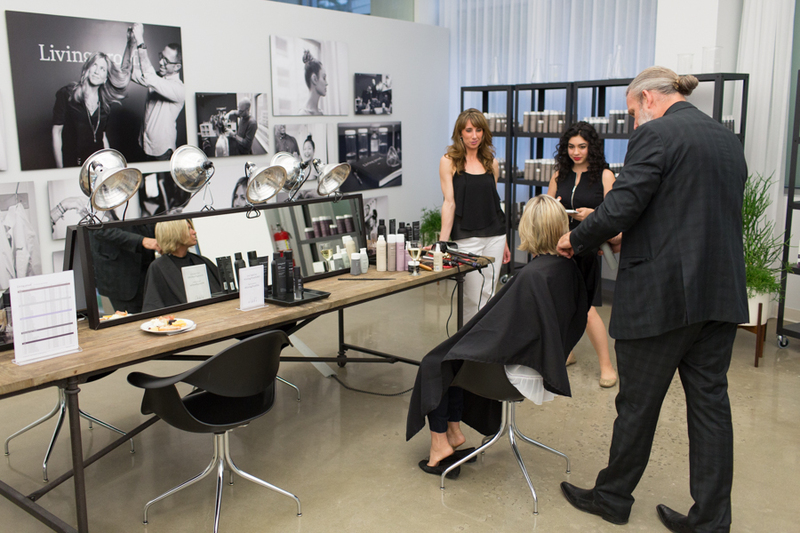 The people at BLO have been a dream to work with. We are all vibrating on the same frequency, the director, lighting, set designer, all existing on the same frequency. What’s been tricky is I’m typically committed to an image, and to a process, but with opera things are always evolving. You get a lot of “This doesn’t work lets change this.” And you have to run with the punches. And, you’re running EVERY second. Like getting a call at 8 p.m. the night before the dress rehearsal (last night) with a “We need XYZ, can you get that?” It’s definitely made me become adaptable to change. How many people are on your production team? 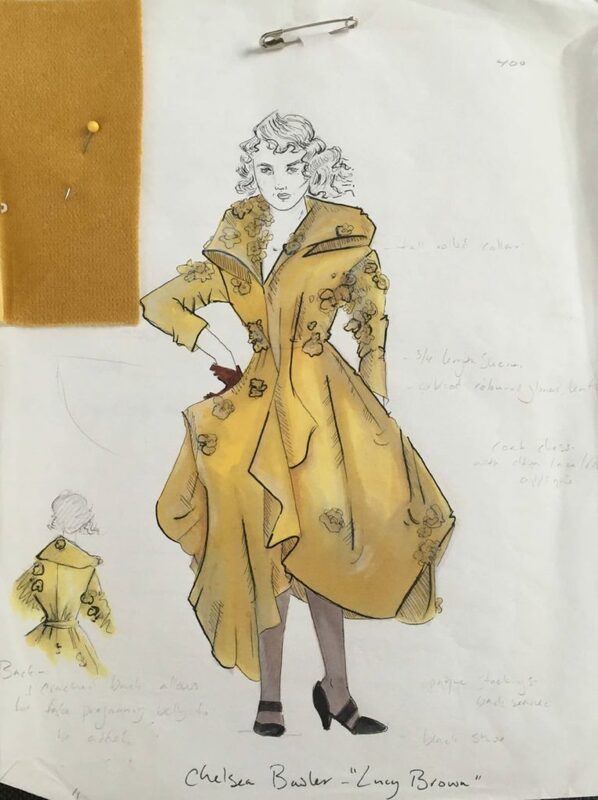 Quite a few: a project manager, an assistant, Costume Works in Somerville—they are a costume company for BLO, Disney— a patternmaker, and Liz Perlman who owns Costume Works and built and fabricated the yellow coat. It’s a team of about 12 to15 people working with me from fittings, pattern making, assembling, and altering. We’ve been working together for six weeks. Actually, today is the first day we will see all of the clothes living in the set, on the actors and under the lighting. It’s exciting, intimidating, and joyful all at the same time. I’m waiting to see these clothes exist on stage. If anything needs to be altered or changed luckily, there is time before the show opens. Were there budgetary constraints on the wardrobe? BLO had a great budget to work with. I had designed the show before I knew what our physical budget was. It was submitted to the costume shop. They did a price breakdown of what it cost. Our principal costumes if they have something specific, those things we build from the ground up. With the supporting and chorus, those are pieces we pulled and bought and altered. It wasn’t a challenge. I’m very thrifty anyways. I’m good at getting a great look for not a lot of money. I do this in my own designs for my clothing line—I don’t think that fashion should be isolating. I feel like it should be accessible. What is your favorite costume of the show? A couple. Lucy’s yellow coat. It’s so beautiful. It was a triumph in making it. When I suggested this coat at our initial meetings at BLO everyone was wanting this coat. …When it came to how are we going to make this, Liz Perlman, she was like “I got this.” She was able to take what existed on the page and turn it into reality. It’s super soft, very hard, draped structured. It was an achievement to make this coat. This velvet is covered in all these custom dyed chiffon flowers. I built one dress for the opera—the dress to be worn by Jenny Diver. It’s a chiffon dress with open work on top made of gray lace. It has shine with its asymmetrical bodice. It’s beautiful, very well built, floor length with a small train. I used several bones in the bodice. The whole bottom of the dress is cut away leaving a soft organic hemline. The best part was we submerged the lower half in water and painted into it with browns, grays, blacks, all dirty tones so it really looks like someone was wearing this beautiful dress for years, walking through back alleys and streets. We built and added all those years into the dress by distressing and staining it. It feels beautiful but sad. It is one of my favorite pieces. There is high melancholy in it. A dress with a long history. 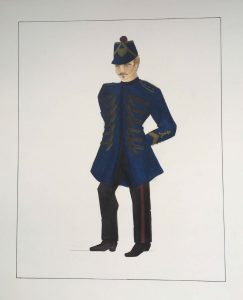 What are the differences between creating costumes for an opera versus designing a collection for fashion show? It’s really the target audience. When designing a collection for the runway you come in with a concept, create an image. With a runway show, you’re in a tighter avenue. You know who your ideal customer is, your target audience. With an opera you are creating an image aesthetic, but it’s like real life, everyone has their own style, so it’s not necessarily the same, so it becomes harder because you’re trying to work in an overall aesthetic, but be true to each character’s personality. You must do intense psychological breakdowns of each character but be true to this world you created. It’s more involved doing costuming. What are the plans for the costumes after the show ends? They will go back to Costume Works. They will be cleaned and get packed away. They go into the BLO stock. For any future shows, they can be pulled. There is an opportunity if BLO is in love with the show, they can freeze the show and the costumes don’t get broken down, and it can get rented to other productions all over the country. 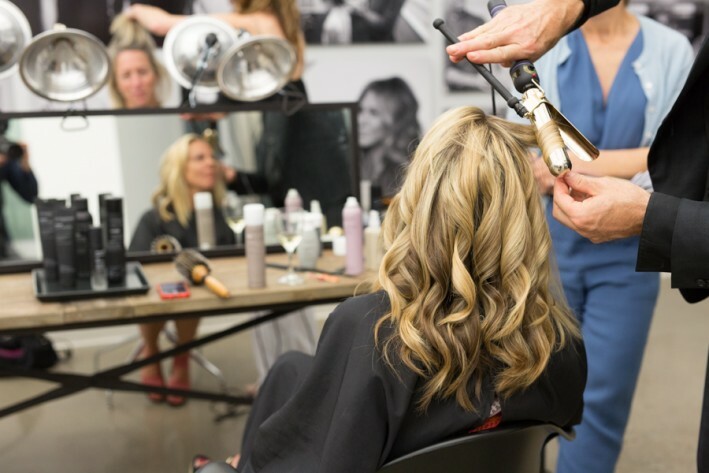 In any event, the BLO owns everything. I am working on a fall collection inspired by Hypnos, the Greek god of sleep and the image of the world in which he dwells—a cave filled with poppies, where the river of forgetfulness stems, a world without light or sound. 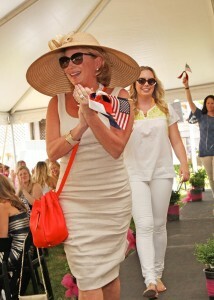 There were lots of red, white, and blue as well as touches of the requisite shimmer. Necklines were plunging, asymmetrical or even turtled as in Maya Rudolph’s interesting choice of a billowing red gown. My favorites and top picks includes Gal Gadot in a plunging silver dress with an exquisite encrusted 27 carat aquamarine lariat drop necklace with more than 1000 diamonds from Tiffany & Co.
Also top on my list was Allison Janney in the stunning red low V-neck with draping kimono sleeves. It was very similar to Meryl Streep’s red in color and cut, but was simply stunning when she took the stage to receive the Oscar for her performance as Tonya Harding’s mother in “I, Tonya.” My third top choice was Laura Dern in a captivating white, one-shoulder dress by Calvin Klein. She doesn’t typically wow me on the red carpet, but definitely brought her old Hollywood A game to the Oscars. With all of these top picks the bottoms are always interesting to explore as well. Top on my list of misses was Nicole Kidman in Giorgio Armani. The blue bow at her hips was distracting and just plain bizarre. It looked like a functional booboo, with nowhere for Nicole to place her hands. Another miss for me was Salma Hayek. Her lavender paillette gown with excessive garland like beading read more like Bollywood not Hollywood to me, but not in a successful way. My last miss was Margot Robbie. This girl is so gorgeous that she could wear a Christmas tree and look good. The bad thing is, that’s exactly what she did! The beaded shoulder draping and neckline was just too holiday and not enough Hollywood for me. Sorry Margot, Chanel just wasn’t scoring high with this judge. Local connections to the award show are always fun to keep track of. David Fialkow of General Catalyst and producer of “Icarus,” winner of the Oscar for Best Documentary Feature rocked the red carpet with red Ferragamo shoes which added a fun punch of color to his navy tuxedo. So glad he made it on stage to accept the award! Local designer, Beth Miller, bejeweled Natalie Morales with her signature pearl rose gold earrings and diamond rose gold ring. What were your favorites and misses of the evening? Let us know in the comments or on social media. For The Pendry hotel and Downtown San Diego, it is all about the millennials. “We could feel the shift in luxury,” said Michael Fuerstman, co-founder and creative director of The Pendry hotel brand. “We were looking to expand our parent company, Montage Resorts, so we took a step back and looked at the new wave of luxury customer. By 2020, millennials — those born roughly between 1982 and 2004 — will make up more than 50 percent of San Diego’s workforce. Unlike baby boomers, millennials don’t necessarily want to own something; they want experiences, where luxury and lifestyle are seamlessly intertwined. As a rule, they consider wealth a very important attribute, enjoy living and working in urban areas, and have become in many ways the prototype for the unprecedented revitalization that is happening in Downtown. The Pendry, located at 550 J St., is slated to open its doors this month — January 2017 — and is one of the first of several new residential and commercial projects planned for Downtown. Also in the mix is the millennial-driven WeWork, at 600 B St., a newly opened co-working office space that consists of six floors and 90,000 square feet of a contemporary character. Other projects for the area that have been approved include: 7th and Market, a 39-story retail, hotel and condominium complex; Maker’s Quarter, a five-block urban district in the East Village with street-level retail, 800 residential units and 1 million-square-feet of creative office space; and, Manchester Pacific Gateway, a combination of commercial, retail, Navy offices and two hotels located at the former Broadway Navy Complex. The number of residential and commercial developments on the horizon is good news for San Diego and North County residents looking for more lifestyle options, according to DSDP. That’s also why The Pendry team tapped Clique Hospitality and its San Diego-based founder, Andy Masi, to run the dining and entertainment venues. Each restaurant in the new hotel is located on the street with separate entrances that make them feel as though they are their own individual brands. The Pendry’s signature restaurant, Lionfish, will have local award-winning chef JoJo Ruiz in the kitchen, with a focus on modern coastal cuisine. Nason’s, at the corner of Sixth and J avenues, promises to be an authentic beer hall, which will highlight the numerous craft beer makers for which San Diego is known. Located just a 5-minute walk to Petco Park, Nason’s will feature signature keg tappings, local brewers, pretzels, sausage and bratwurst along with special events. In addition, the Oxford Social Club, an underground club located next to Lionfish, is a play on the ultra lounge scene of 10 to 15 years ago, with a DJ booth and soft, moveable seating that gives it a communal feel. 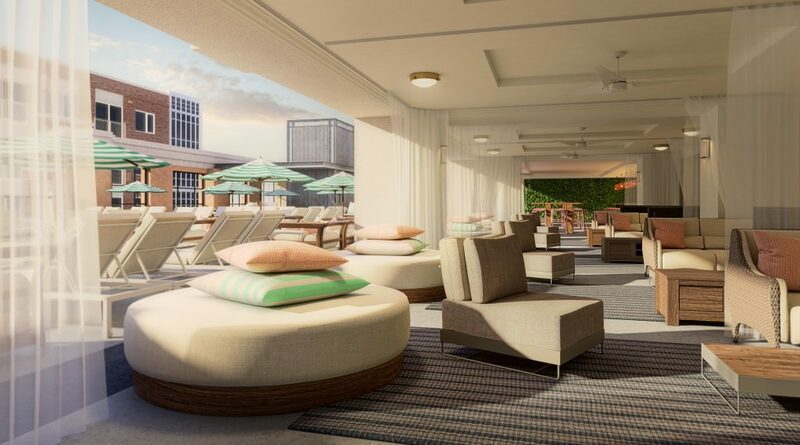 A lobby bar, spa and outdoor rooftop pool deck are included in the amenities. 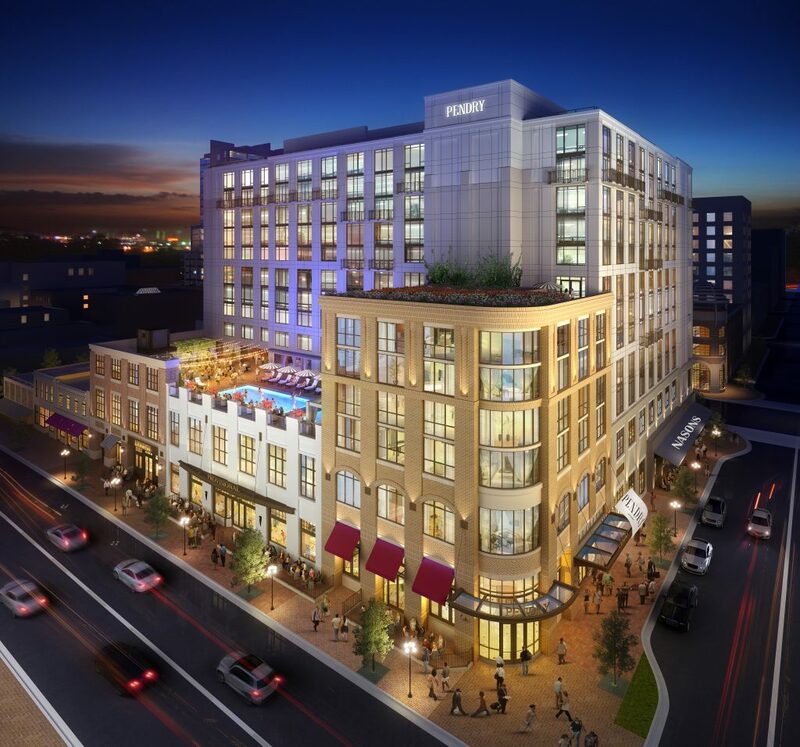 Montage Resorts, which currently operates six luxury hotels, are known in the industry for their service culture and Pendry General Manager Michael O’Donohue, with his more than 22 years of experience in luxury hotel management, hopes that this will set The Pendry apart. The 12-story hotel offers 317 contemporary guest rooms and 36 suites, all with an elegant but comfortable modern design. The intent of the staff is to make the experience for the guest a seamless transition from outside to in, and that includes guests who travel with their pets. The Pendry is a pet-friendly hotel where man’s best friend is more than welcome. 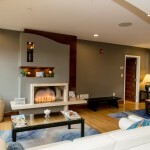 For more information, visit pendryhotels.com/san-diego. 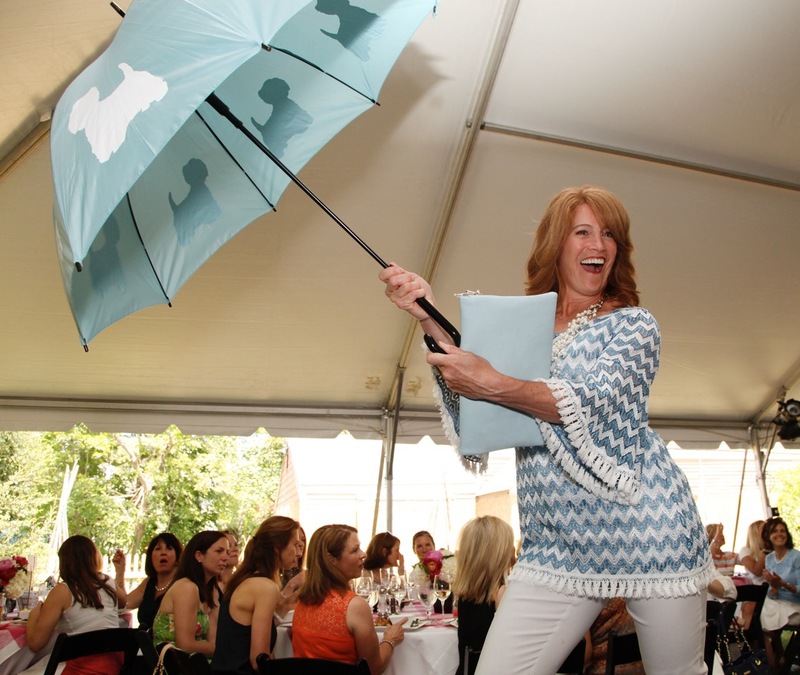 —Terri Stanley is the creator, producer and host of the Emmy award-winning Boston lifestyle show styleboston and former executive editor of Boston Common magazine. Since moving to the San Diego area, she freelances as a lifestyle writer and short film producer. Reach her at terris@styleboston.tv. Looking for skin that is both radiant and soft to the touch? Enter G20 Spa’s body wrap. Carefully balanced to both cleanse and replenish, G20’s body wrap treatments lift the veil of dullness and dryness to restore hydrated silkiness to skin. Using seaweed from the seas of France, Gina told me this purifying treatment detoxifies the body while restoring skin tone and vitality by drawing out toxins from the skin. Gina finished my treatment with lymphatic drainage to enhance detoxification, boost circulation and promote overall slimming and toning effects. Think facials are just for women who love to be pampered? Think again. If done regularly while you’re still in your early 20s, they can prevent premature wrinkles, sun damage and aging. Not sure where to begin? Let G20 Spa be your guide. After a skin consult, Gina started by applying a Pumpkin Peptide Polish to my face to exfoliate skin cells; provide antioxidant support and stimulate collagen activity, leaving skin feeling smooth and looking bright. 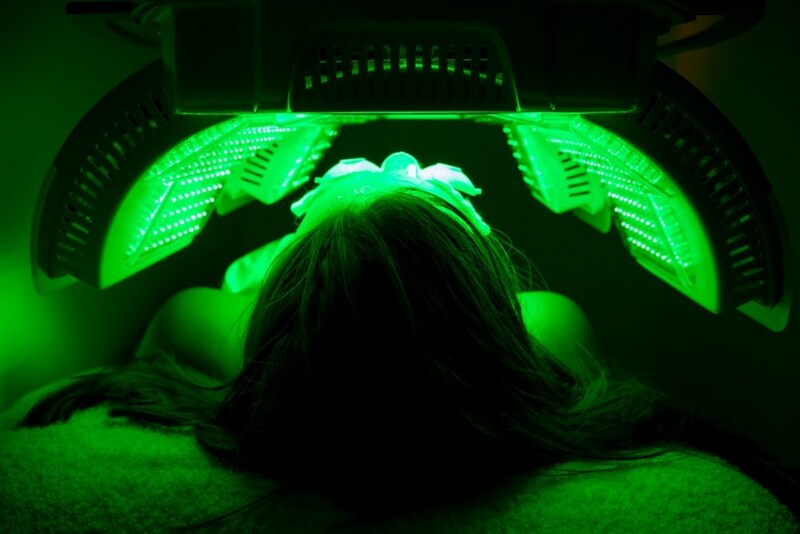 Next, Gia helped me get my glow on with the use of LED, which stands for Light Emitting Diodes, that help to target common skin problems such as blemishes, redness and uneven pigmentation by stimulating new cell growth. Looking to nail your summer look? Step into summer by looking polished from head to toe with a G20 Spa deluxe pedicure. This full service pedicure includes a lower leg and foot exfoliation, nail grooming, and massage. Conclude this relaxing experience with a natural nail buffing or a bright polish application of your choice for a look that is sure to start your summer off on the right foot. On Wednesday June 11th, I was honored to attend the second annual “Swing into Summer,” fashion show benefitting Crossroads for Kids, a non-profit that inspires youth to develop their innate potential by breaking the cycle of poverty and under-achievement by yielding systemic change in the communities where they live. 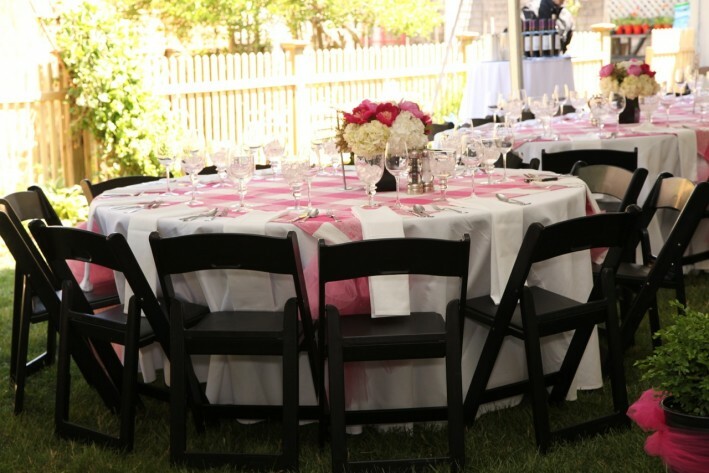 The event was designed by the ever chic Holly Safford of The Catered Affair and took place at the historic Winsor House Inn in Duxbury where models strut down the runway in stunning fashions by Sara Campbell Designs and accessories by JoJo Loves You. While the fashion industry often has a reputation for being frivolous, I’ve always believed that fashion has the ability to design a better world. Often starting with the spark of a single idea, entrepreneurs and designers like Holly and Sara are changing how the world views fashion’s potential and ability to leave a lasting and powerful influence on society by hosting events that are filled with both style and heart. 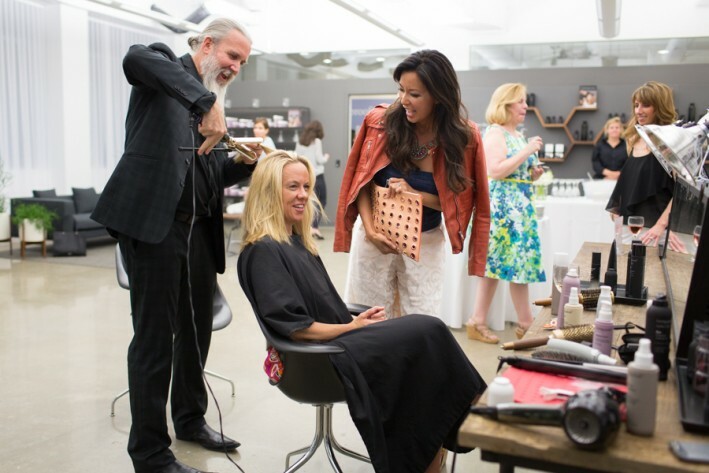 Truth be told, no matter what happens in retail or on the runways, there’s one thing that never goes out of style: giving back. Want to lose weight without dieting and exercising? I will let you in on my little secret…perfectly bronzed skin. With Custom Airbrush Tanning, I was treated to a session with Jen Barry at Bliss Spa W Boston Hotel. I had no expectations but was thrilled when I went home feeling 10 lbs lighter. My husband recently came home from a business trip and said, “Wow, you look great! Very skinny. What have you been doing?” I smiled and said nothing. Sit in the lounge and snack on my favorites- the signature brownie bites and cheese cubes with a hot tea. Have a moment of peace without your phone, because it’s that blissful. A whirring sound then a smell of flowers, and the process begins…I held my arms out to the side and Jen began spraying the cool mist on my body from the gun that looks like a blow dryer. We had pre-selected medium, since I already had a nice base tan. I had booked my appointment on a Monday since I had a Wednesday event. Two days seems to be the optimal resting time. After being airbrushed and then dried with the same device, Jen gave me a disposable blue robe to put on and we walked back, barefoot, to the lounge where she had me wait another 10-15 minutes to further dry. They say the camera adds 10 lbs, but all I can say is that the airbrush tanning takes off 10lbs. Try it, you’ll like it.